Dear Ami ananda, Welcome to the wonderful world of TREK LENS. Keep clicking and sharing through TL. 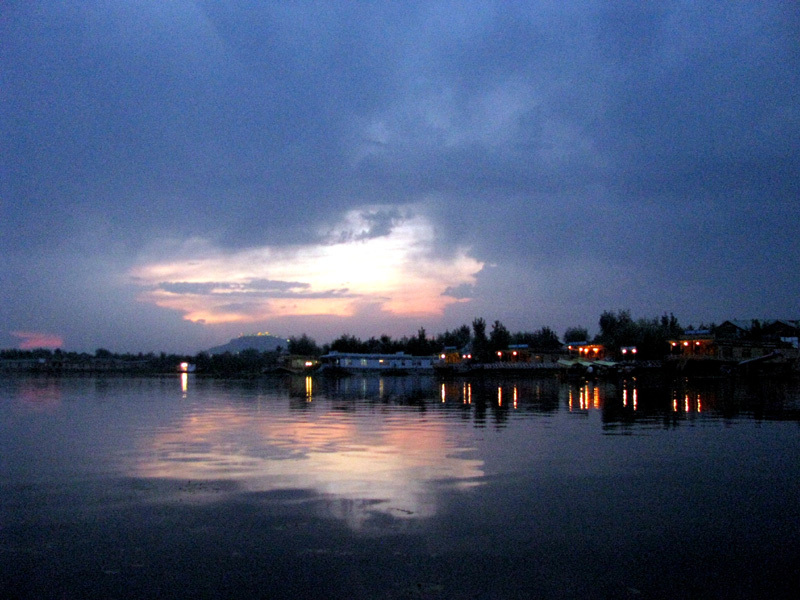 A different view of Dal lake.Best wishes, Image mohandas, kerla, India. This is a nice composition with plenty of mood and atmosphere. You have captured a good sunset and reflections. And although you have composed it well using the rule of thirds, I think it works quite well with a wider crop by taking the sky down to just above the sunset and cloud. This takes the eye right into the colours of the scene. Of course this is just my opinion though. A nice first posting and hope to see more of your work.